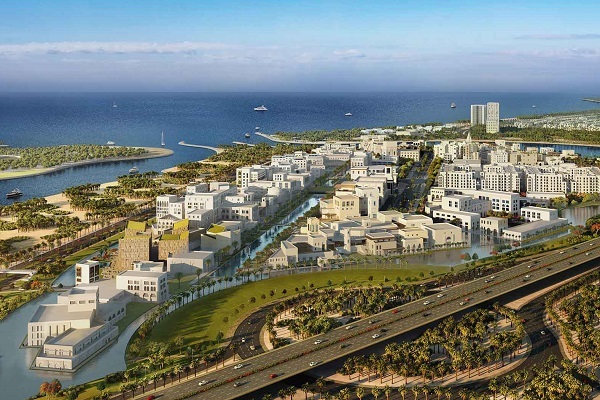 Eagle Hills Sharjah, a joint venture between Sharjah Investment and Development Authority (Shurooq) and top UAE developer Eagle Hills, is set to present the premium lifestyle offering and lucrative investment opportunities available at its key development Maryam Island in Sharjah. Maryam Island is a major development spreading across 460,000 sqm, offering unparalleled views of the Arabian Gulf and Sharjah’s downtown skyline. The masterplan promises a world-class urban lifestyle featuring residential apartments, retail outlets, four and five-star hotels, waterfront food and beverage outlets, as well as a Souq and various facilities such as a spa, a fitness club, a swimming pool, and a children’s play area. The project, to be showcased at the upcoming Sharjah FDI Forum 2018, will help contribute to the rise of the property sector in the northern emirate. The event is being held under the patronage of HH Sheikh Dr. Sultan bin Muhammad Al Qasimi, Member of the Supreme Council and Ruler of Sharjah from December 10 to 11 at Al Jawaher Reception & Convention Centre. Sharjah FDI Forum aims to discuss future socio-economic developments in the emirate and the rapid transformations in the global economy, said Eagle Hills Sharjah, which is the platinum sponsor for the event. It will further explore the innovative solutions and technologies that could boost the Emirate’s competitiveness and attract sustainable investments, it added. During the event, Eagle Hills Sharjah will showcase Maryam Island’s residential, hospitality, retail and lifestyle offerings to potential customers and investors. Eagle Hills CEO said it is committed to raising the profile of Sharjah’s property investment market, and also keen to engage in innovative ways to further promote the sector. "Our strategic presence at Sharjah FDI Forum 2018 aims to shed light on the latest developments and the progress of our projects here in the Emirate, which have been attracting key investors from local, regional and international markets," noted Ping. Eagle Hills Sharjah is currently developing three major projects in Sharjah; Maryam Island, Kalba Waterfront and Palace Al Khan, all of which are poised to further diversify the emirate’s economy and create new employment opportunities, as well as boost local and international tourism and investments.